Photo courtesy of Forest and Kim Starr via Flickr.com. All occupants of a car must wear seat belts (regardless of age), and children weighing less than 40 pounds must be in a child safety or booster seat. Right on red is legal unless otherwise marked. Heavy rain frequently washes out certain roads, making them impassable. Ask about current driving conditions when you rent your car. Lanai’s axis deer population outnumbers its human population (6,000 to 2,500). Always watch for deer on the road, especially into the evening hours. 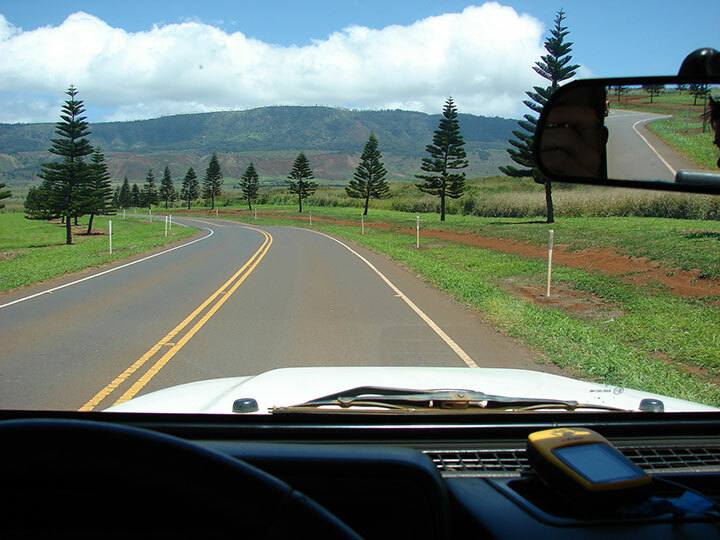 Don’t set out on a road trip without either a map or detailed instructions, or a local guide. When out exploring, pack food, water, sunscreen and whatever else you’ll need for the day; there are no convenience stores outside Lanai City.